Lars Andersen began writing about nature in the mid 1980s. His first work, an audiobook titled “North Florida Adventure,” was an educational look at the history and locations of North Florida through the eyes of fictional characters. Listeners can drive across North Florida and hear about sites as they pass by. 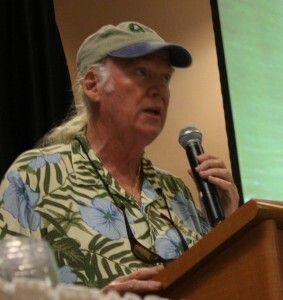 Since then, Andersen, a Florida native, has had a long career as an environmental writer and a nature tour guide. Andersen began guiding tours in North Florida in the late 1980s. He conducts river tours on about 60 different waterways, including coastal areas. 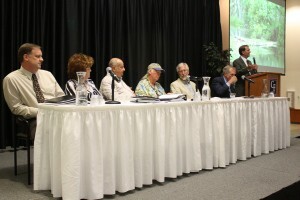 “We’ve had a lot of people have transformative experiences when they are out on the river,” Andersen said. Sometimes after young people have been on a river tour with their parents, they choose nature-related fields of study when they go to college. 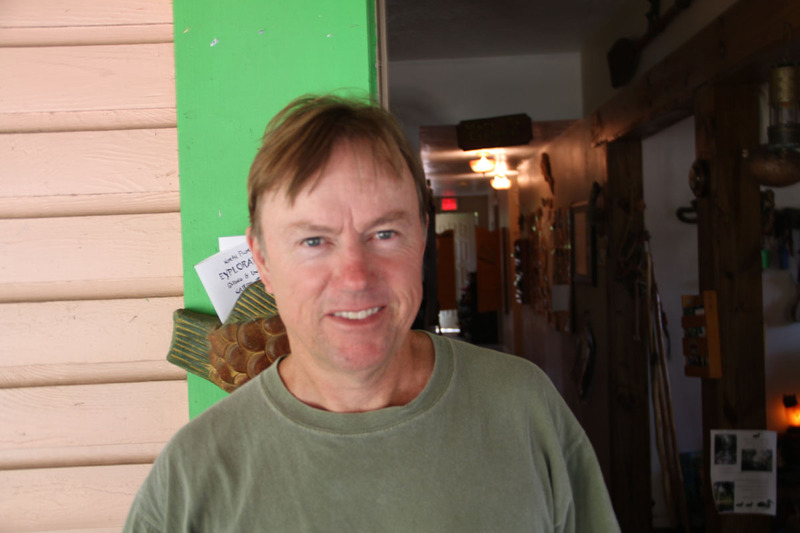 The 55-year-old nature guide started a formal business about 15 years ago when he opened the Adventure Outpost in High Springs, Fla.
A 2009 National Geographic blurb mentioned Andersen’s tour, including some of his tips on how to approach manatees. He views his nature-related writings as another means to educate the public about the state’s waterways, as well as some of the problems facing Florida’s water supply. Andersen has written guidebooks, historical accounts of waterways and articles for nature magazines. 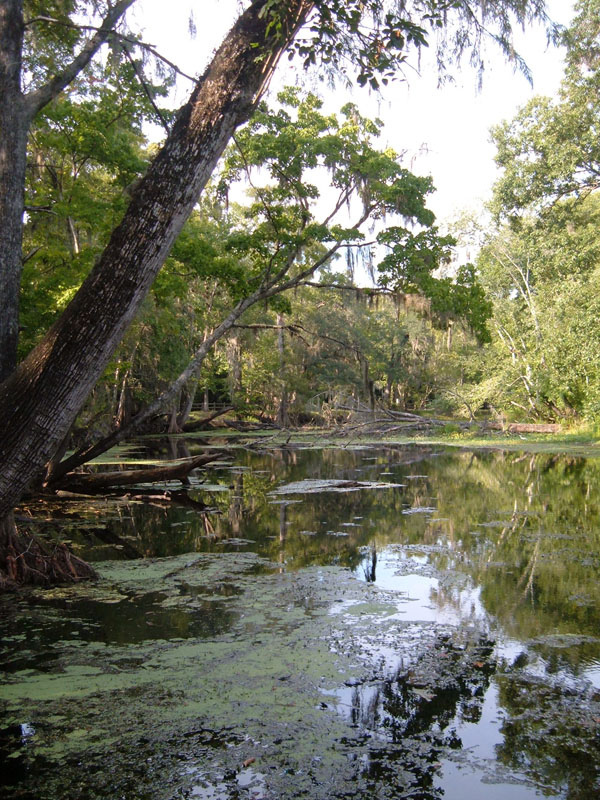 Among his works are “Paynes Prairie: The Great Savannah: A History and Guide,” a comprehensive book detailing everything there is to know about the shallow basin in the middle of Florida. In “Paynes Prairie”, Andersen recalls his childhood fascination with nature, and how his range expanded from his neighborhood. By his teens he had discovered the Prairie. “I began exploring the Prairie every chance I got, often joined by friends and my brother. . . ,” he wrote. When asked about his best experience as a nature guide, Andersen told the story of a family; a father, his son, and two grandchildren; he took out to Rainbow River. “Three generations of people sharing this incredible experience,” Andersen said. The day went without a hitch. They saw more wildlife than usual, and the family had a great time. Andersen said that about a month later, the son called him to share some sad news. He told him the grandfather who had arranged the tour had died. 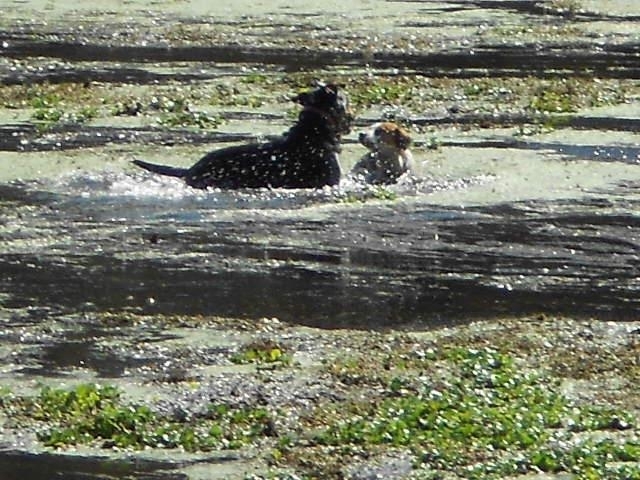 Dogs playing in slime at the Santa Fe River in Alachua County. Photo taken in 2012 by activists for the Sierra Club's Slime Crime Tracker. 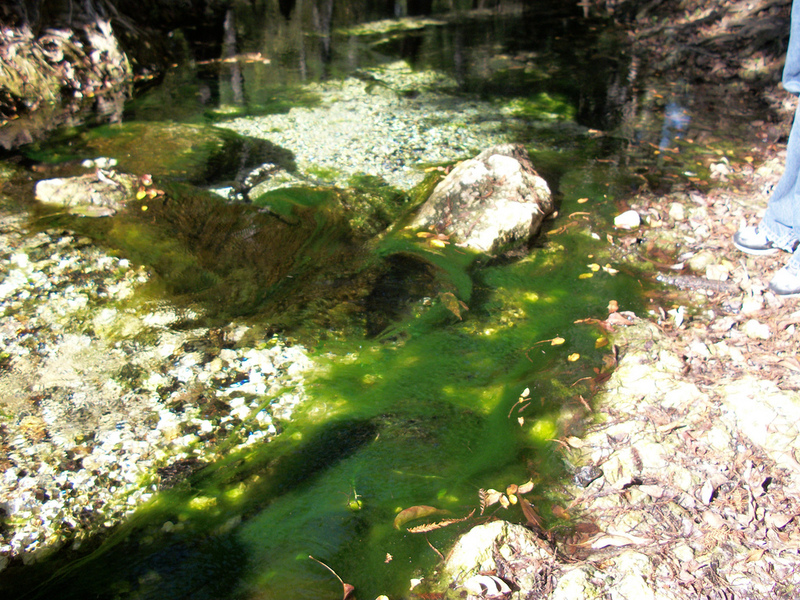 Large algal bloom at the Santa Fe River in 2011. Photo taken by activists for the Sierra Club's Clime Crime Tracker. 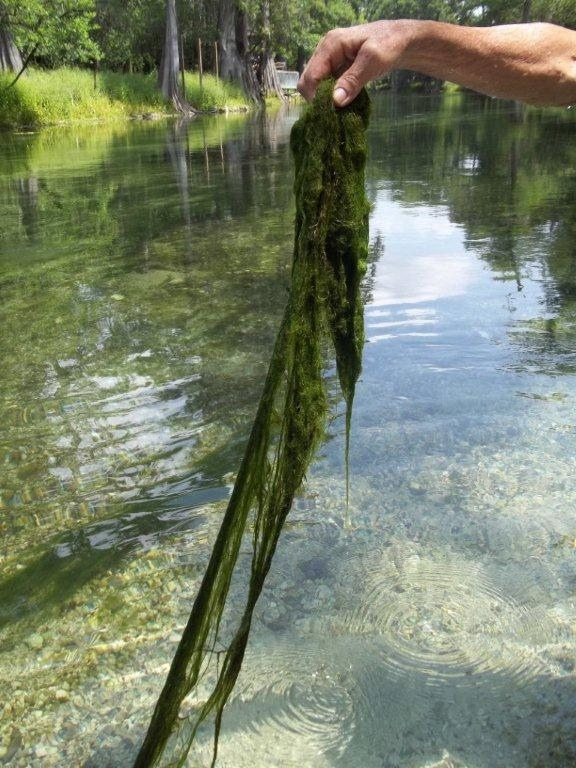 Another algal bloom in the Santa Fe River in 2010. Photo taken by activists for the Sierra Club's Slime Crime Tracker. 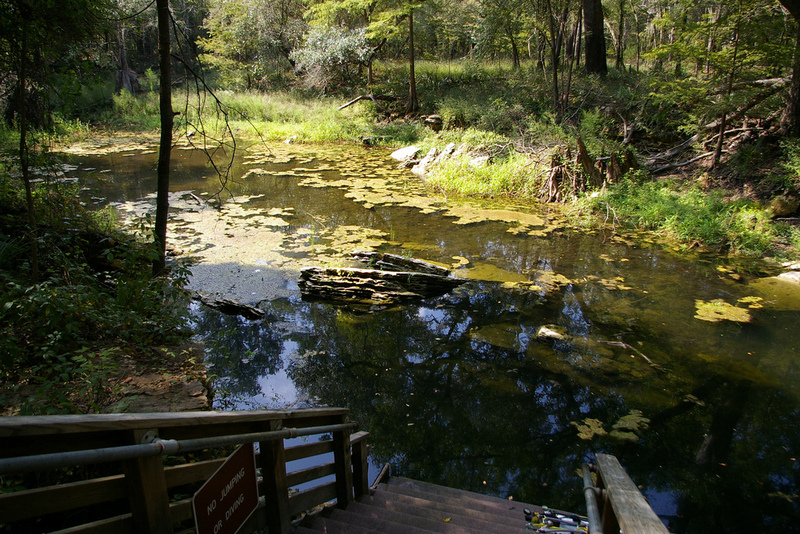 Slimy water at Peacock Springs in Suwannee County, 2007. Taken by activists for the Sierra Club's Slime Crime Tracker. Completely green water at the Santa Fe River, 2011. Taken by activists for the Sierra Club's Slime Crime Tracker. 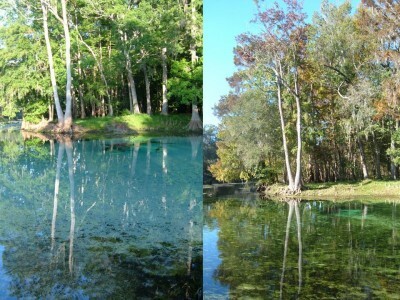 Before and after comparison of Rum Island on the Santa Fe River. The image on the right was taken in 2009. The image on the left was taken at an unknown date for contrast. 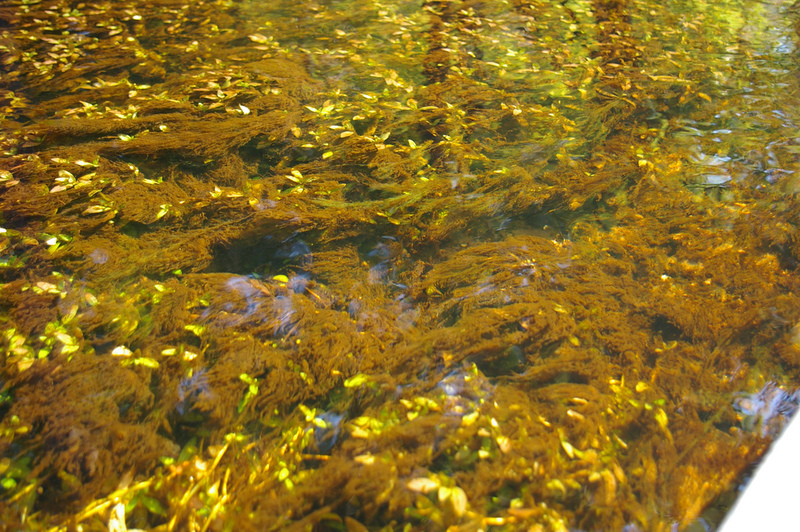 More algae at Rum Island on the Santa Fe River. The picture was taken in 2011 by activists participating in the Sierra Club's "Slime Crime" project. 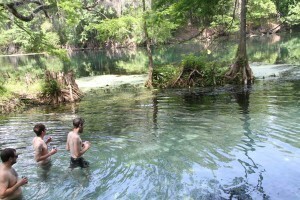 Visitor pulling algae out of Ichetucknee Springs, 2011. Taken by activists for the Sierra Club's Slime Crime Tracker. Mark and Annette Long have lived in Florida for most of their lives and lately they’ve noticed something wrong with the local waterways. Mark is a Florida native and Annette moved to the state about 30 years ago. They said they began noticing problems with the water in Florida about 10 years ago. Alarmed by this observation, the couple who live in Chiefland, became activists for water issues in their area. 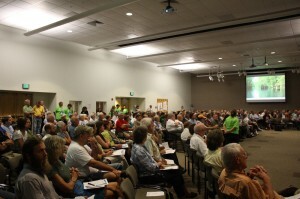 They started Save Our Suwannee, which engages in a number of activities from educating the public to lobbying local governments. Of major concern to them is nitrate pollution. Nitrates (NO−3), or nitric acids, are chemicals commonly found in fertilizers and waste. 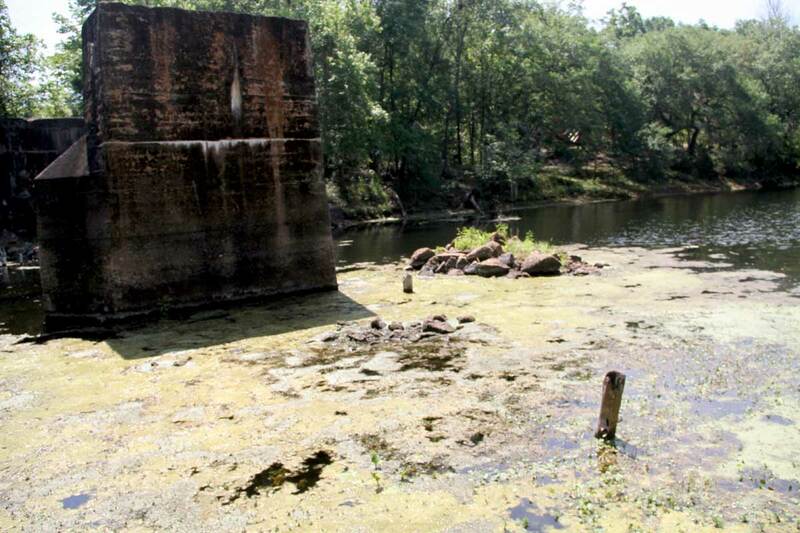 Paul Chadik, a University of Florida professor of environmental engineering sciences, said nitrates are a nutrient for the development of algae growth, causing harmful algal blooms. This process is known as cultural eutrophication. Chadik said that when the algal cells start decaying, the bacteria that catalyze the process absorb large amounts of oxygen from the water. “Other aquatic life that needs the oxygen can’t get it,” he said. The aquatic ecosystem would be damaged, he said. A 2008 Florida Department of Environmental Protection study reported that nitrate pollution in both surface and groundwater has increased by a factor of two or three over the last 20 years. 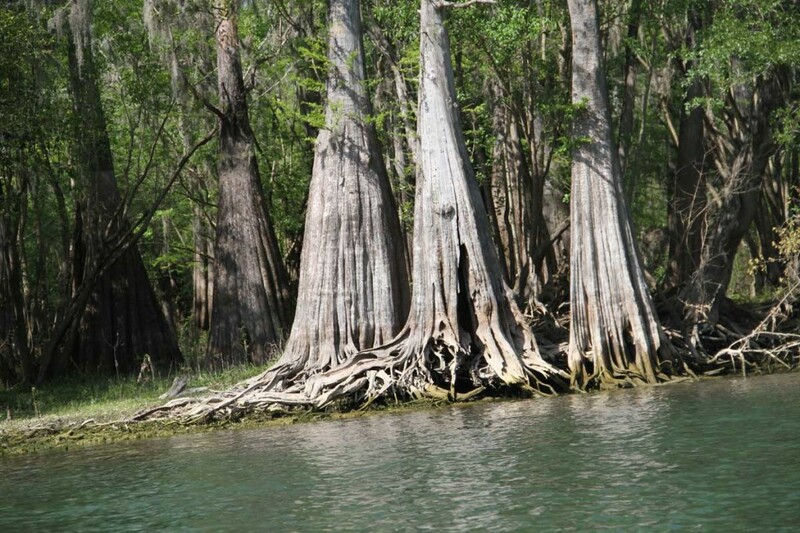 According to the study, about 30 years ago, nitrate levels in Florida’s water were about 0.2 mg/L. Now, the average is about 1.0 mg/L. The Longs both said they were very concerned over the amount of nitrates finding its way into the water. 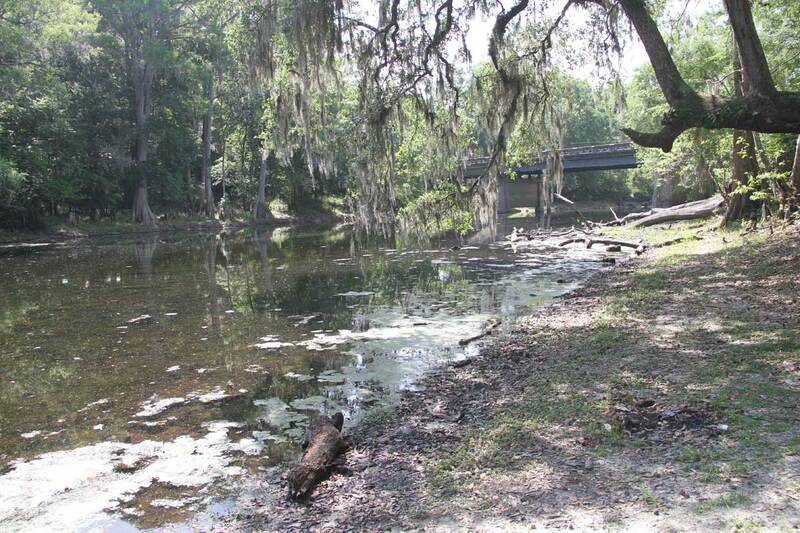 Severe environmental degradation can occur at 0.4 mg/L, said Annette, who serves as president of Save Our Suwannee. That’s the general scientific consensus among the experts she has spoken with. The maximum contaminant level (MCL), a standard set by the Environmental Protection Agency, allows 10.0 mg/L of nitrates. Annette also said nitrates pose a threat to the humans drinking the water. Agriculture is one of the major source of the pollutants, the Longs said. Fertilizers commonly used in agriculture contain nitrates, herbicides and phosphorus. He said the rain washes the chemicals into both ground and surface water. 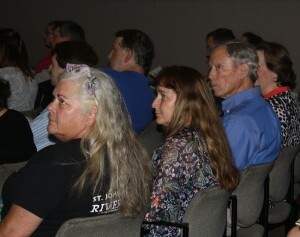 Terry Hansen, an environmental consultant for the environmental protection department, agrees that the Suwannee and Santa Fe rivers are in poor condition. 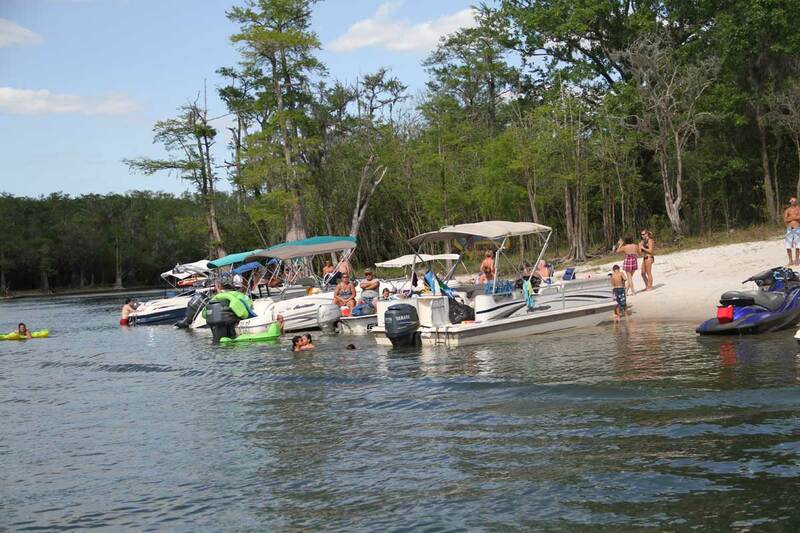 “The state has determined both the Suwannee and the Santa Fe are impaired,” he said. An “impaired” means the water body has been evaluated and found it is not meeting intended use. The state ranks bodies of water based on a scale of one to five. A one means the water is drinkable, and a five indicates the water is for navigation and industrial use only. 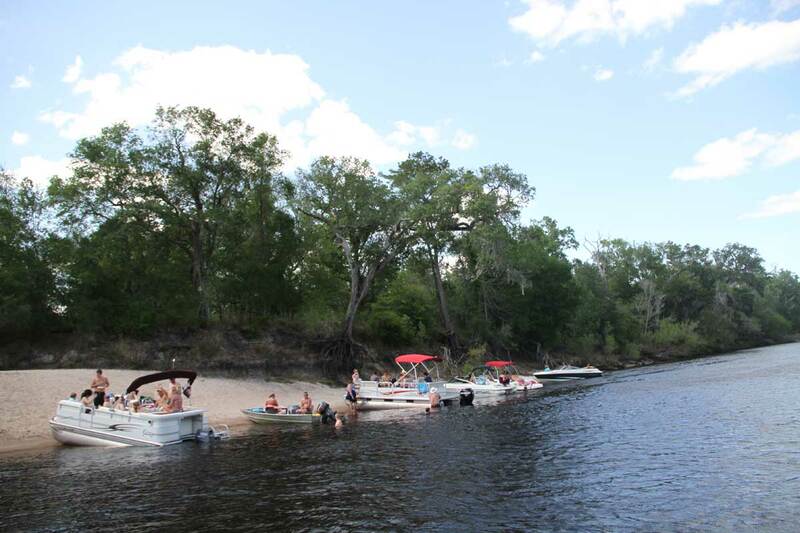 The Suwannee and Santa Fe rivers are both class three water bodies, meaning they are for swimming, fishing and recreation. Impaired water bodies exceed the pollution allowed for a class three. To address this issue, the department has implemented a Best Management Action Plan (BMAP). A BMAP is a collection of methods used to lower pollution. For instance, the BMAP for the Santa Fe River prescribes a public education campaign about the impact of stormwater and new guidelines for controlling pollution from construction sites, as well as other sources. Hansen said the complex nature of Florida’s water systems is one reason why pollution is such a major problem. 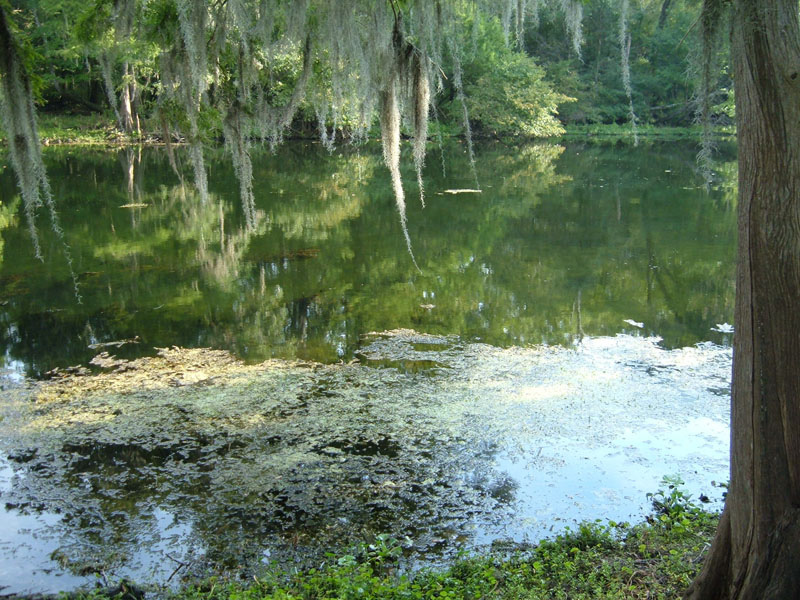 The underground aquifer connects to several bodies of water, meaning nitrates and other nutrients can have a wide reach. “There is no single place you can implement a system of control,”Hansen said. 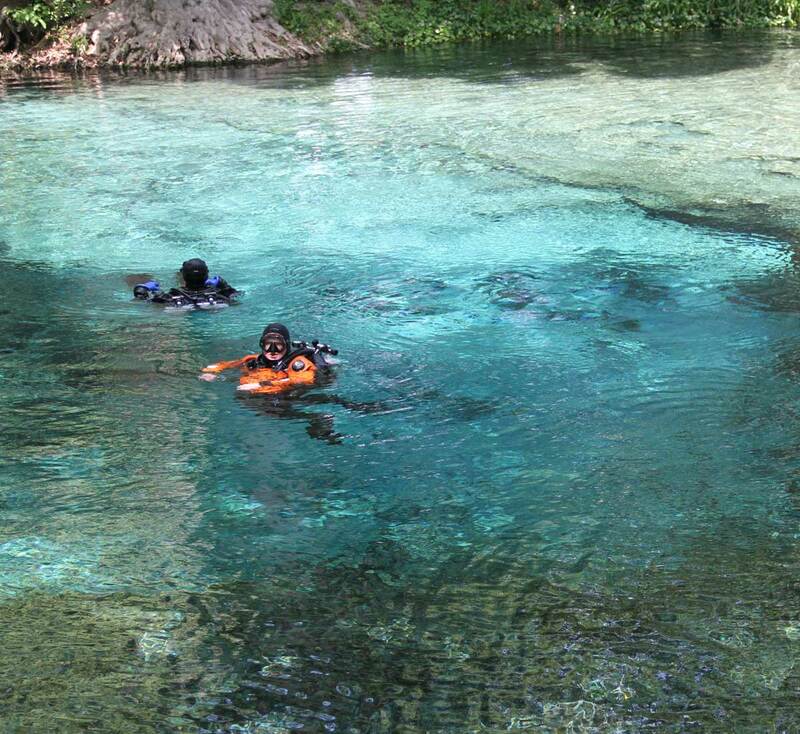 A 2010 study, conducted by MACTEC, a private consulting firm, funded by the Florida Department of Environmental Protection, analyzed sources of nitrate pollution in the Santa Fe River and its springs. According to the study, water bodies near agriculture contained about 4.0-5.5 mg/L of nitric acids on average, significantly higher than the amount Annette said was dangerous. Water near undeveloped areas contained about 0.1 mg/L. Another part of the problem, Annette said, is Florida’s lack of enforcing effective environmental policy. “The state is bowing to industry,” she said, and “dragging its feet” in setting standards for limiting pollution. The federal Clean Water Act, passed in 1972, made it unlawful to discharge pollutants into the water from a point source (pipes or man-made ditches) without a permit. Mark said far too many of these permits are being issued to industrial businesses such as paper mills. Cris Costello, a regional organizer for the Florida Chapter of the environmental advocacy group, the Sierra Club, expressed a similar opinion. Florida needs to adopt numeric limits to water pollution.Rather than being proactive, state currently doesn’t take action unless the water is already green and slimy, she said. 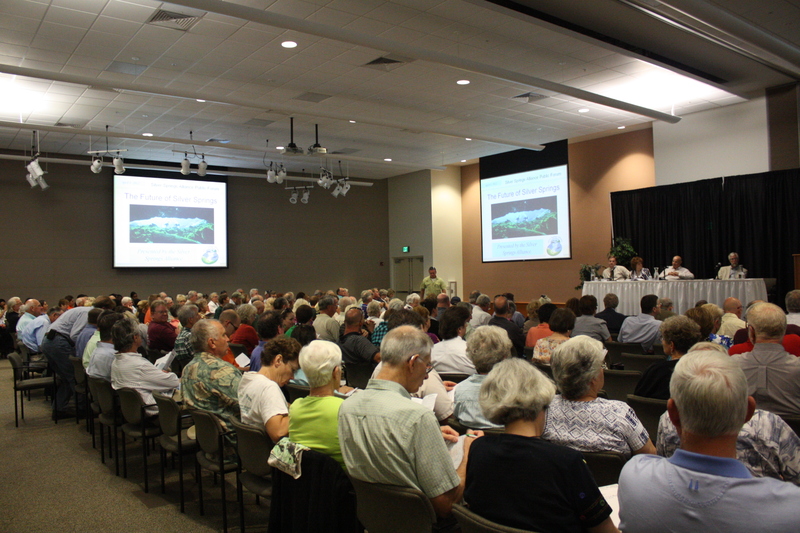 The Florida Department of Environmental Protection finalized a plan in January 2012 to implement a numeric limit, which is awaiting approval by the U.S. Environmental Protection Agency, Costello said. The Sierra Club advocates a cheap and easy way to limit nitrate pollution is with local laws regulating fertilizer use, he said. Manatee County, Fla., is the latest county to adopt regulations on nitrate-based fertilizers. The ordinance prohibits the use of fertilizers containing nitrogen or phosphorus from June 1 through Sept. 30, due to heavy rainfall during these months. In addition, it limits where the fertilizers can be used. Annette said rules like these should be implemented across the entire state. 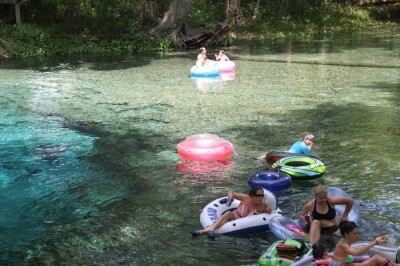 The couple remains optimistic that Florida’s water situation will improve.